Staying in Phuket and not ready to go home yet? If your Thai transit or tourist visa is approaching its expiry date, there are a number of ways you can extend or renew it on and around the island. Staying on in Phuket sometimes requires a turnaround trip out of Thailand. Phuket has two immigration offices where you can apply for a visa extension. The main immigration office is in Phuket Town on Phuket Road not far from Saphan Hin public park. The office is open Monday to Friday from 08:30 to 16:30 and is closed for lunch from 12:00 to 13:00. Be sure to get your application in before 15:30 since the office will not process anything requiring a fee payment after that time. If you’re staying at one of Phuket’s west coast beaches, the nearest immigration office is on Patong beach. It was closed for nearly two years but it reopened in June 2013 with operating hours from Monday to Friday, 10:00 to 15:00. Visitors with 30-day transit visas may extend them for another seven days while those with 60-day tourist visas may extend these another 30 days at both the Phuket Town and Patong immigration offices. The cost is 1,900 baht and you’ll need to provide a passport-sized photo. A shop at the back of the office does photos (and photocopies) if you forgot to bring one. At both immigration offices you’ll find foreign Tourist Police volunteers who will help sort out your application and answer any questions before turning you over to a Thai immigration official. Note that some nationalities are not eligible for extensions. Looking for a Thai embassy? Phuket has many direct flights to Asian cities and beyond. 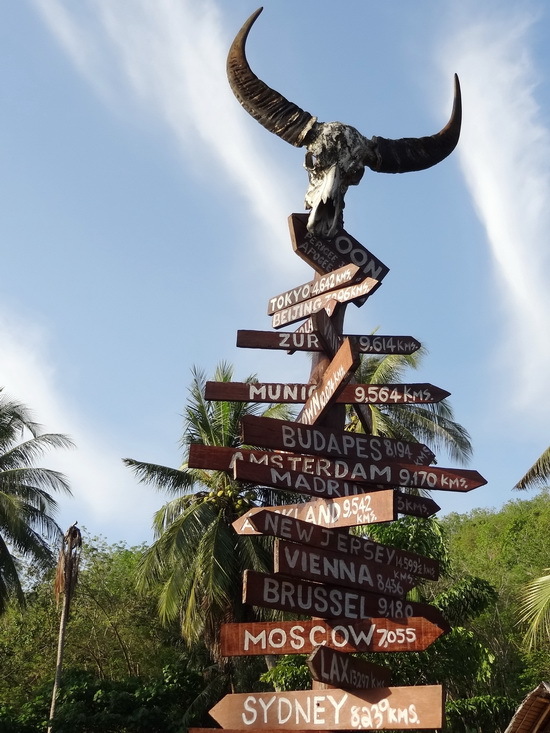 If you’ve extended your visa as long as possible in Phuket and wish to stay longer, then you’ll need to arrange a trip out of Thailand for a new visa. For those with multiple-entry visas or else needing to stay only up to 15 days longer (or 30 days if you’re from a G7 nation), the easiest way to do this is to arrange an overland trip up to Ranong and across the border by boat to Kawthaung (formerly Victoria Point) in Burma. You need only leave Thailand briefly and return again to receive a new transit visa. The trip is a full day’s endeavour, with about four hours each way by road between Ranong and Phuket then a few extra hours taking the boat over and getting your departure and arrival stamps sorted by immigration officials on both the Thai and Burma side. The cheapest way to go is by bus, with several departing for Ranong daily from the main bus station on Thepkrassatri Road in Phuket Town. A less adventurous but much easier and more time efficient way to go is to book a trip with one of the many visa run services to Ranong. Prices vary but most fall into the 1,500 to 2,000 baht price range. A more swanky way to sort your visa is to visit the Andaman Club (Agoda link) in Burma, where you can take the resort’s own ferry over to its private island, then simply turn your passport over to a resort staffer who will arrange your in-and-out stamps while you dine (or gamble!) at the resort. 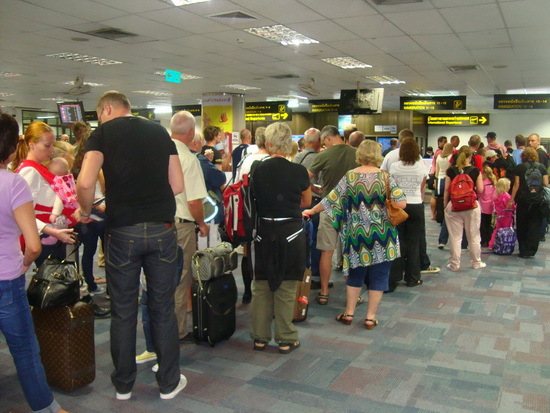 Many Phuket visa run services will organise a one-day or overnight Andaman Club trip, too. If you’re in need of another 60-day visa, you’ll need to visit a Thai embassy outside of Thailand. From Phuket International Airport there are direct flights to several locations around Asia with Penang, Kuala Lumpur and Singapore being the three nearest options. Discount airlines make the dreaded visa run a bit more budget-friendly. Currently the only direct-flight option to Penang is on Firefly airline. Package visa-run trips via minivan including a one night’s stay Penang are also widely available at prices around 4,000 baht. 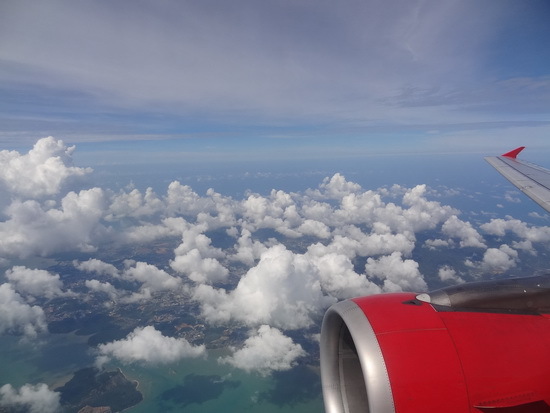 Overland trips by minivan to Kuala Lumpur and Singapore may also be arranged, but these hardly seem worth the time with so many budget airlines serving these routes. In all, visa run services are a thriving business in Phuket so it’s just a matter of asking your hotel tour desk or any Phuket travel agency on how to organise your extension.